Before venturing further, please take a few minutes to read this article about an innovative program from Princeton Theological Seminary. The title of this is not meant to be sarcastic, but instead to simply ask the question: Has the process of making disciples progressed over time or in different places? Curiously enough, I think it is not the affirmation of this question that is so important to us today (Admitting that yes, the way we make disciples of Jesus Christ has indeed changed, sometimes for the better) but actually the opposite that may be more impacting to us. I do not think anyone can reasonably argue that discipleship has not changed. If you look at any three Christian groups in your own community, you will likely find variations in how they make disciples. Now multiply that by the rest of the world and again by 2000 years. That leaves room for a lot of variation. The question is not whether there is variation. The question is whether that variation demonstrates progression. Have we improved on the original model? That is a much stickier question, especially when our Christian culture has an almost perennial move to get back to the original way of doing things (as presented in the New Testament). There is good reason for this. 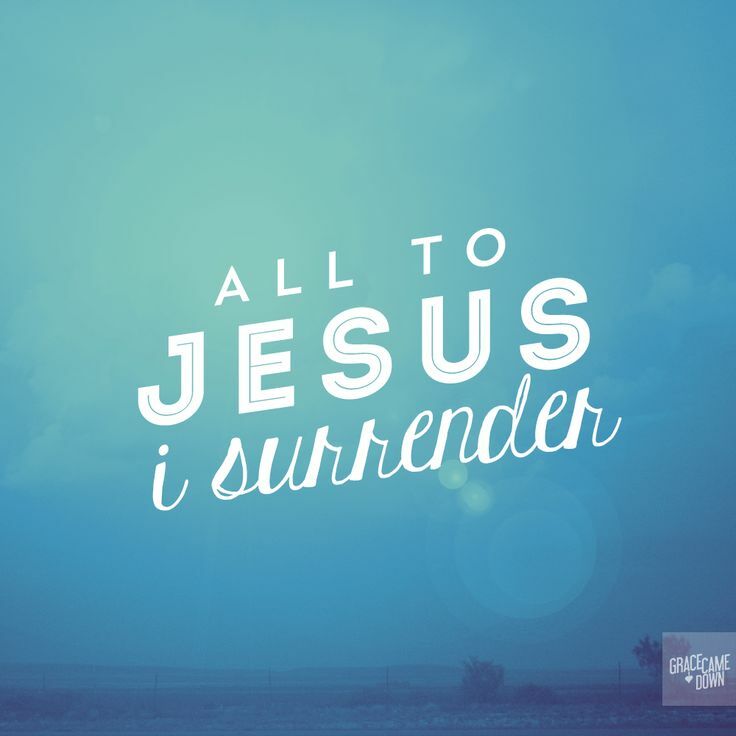 Jesus is our ultimate authority and the New Testament is where we have the most faithful witness of His teachings and acts. The major difficulty arises from understanding how to apply that model today. How would Jesus start a ministry in your community? Would He start by going to the nearest lake and teaching fishermen, and then follow up by stopping into the nearest IRS agency to recruit some of their employees? I think that might be a stretch, especially considering that Paul the Apostle did not follow that same model himself when he started churches across the Roman Empire. 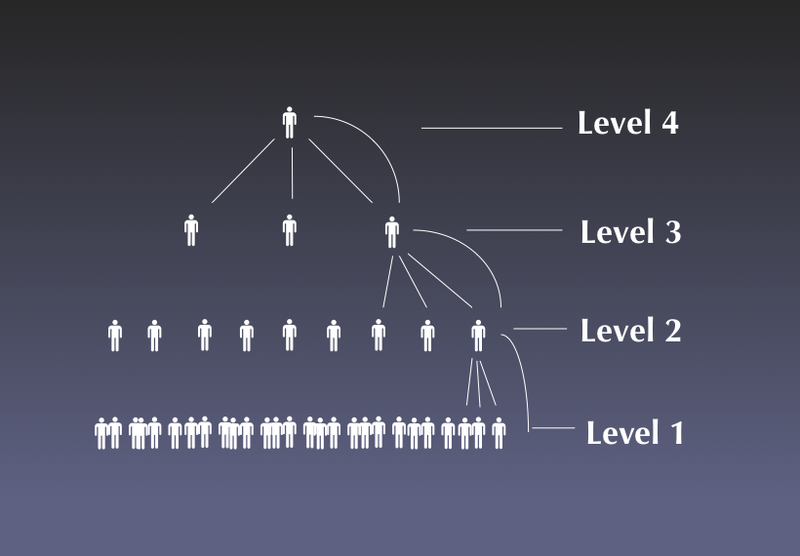 Let’s look at how a basic discipleship community grows over time. There is always a starting point that usually begins when a follower of Jesus meets someone who does not know and/or does not follow Jesus themselves. In the course of building a relationship between each other, the non-Christian may make a commitment to follow Christ, thus creating the first convert and invitation into discipleship. It is then left to the first Christian to teach them everything they can about Jesus and to essentially be the Body of Christ with them in order to raise them up to a point where they can make other disciples themselves. It’s not rocket science, it is just relational replication. It is unclear from the Scriptures exactly how much discipleship Jesus did in this way because most of the accounts of Him have him working with more than one person at a time, which creates a slightly different dynamic, where the students are able to learn from each other as well as their mentor. The Apostle Paul may have done a little more one-on-one discipleship, particularly working in territories that were less receptive to the initial gospel concepts. Either way though, this one-on-one discipleship does not seem to be a model with lots of support in scripture. Next, you gather a group around you, which changes the relationships, the dynamics, and the model of discipleship. Will you lead this group like a school classroom? Will you lead it like military boot camp? Will you treat it like a social club… an organic group of equals just discussing their our opinions? This comes down to the question of authority. Who is in charge and why? How is that authority to be used? I’m sure you can see how this already can branch off into models of Catholic schools, Church camps, and Coffee shop book discussions having only moved up one single level from one-on-one discipleship. The question of authority may be important even in the one-on-one models of discipleship, but it becomes imperitive once you add the third person into the mix. Someone has to take the lead – even if it is not the same person each time, otherwise it is just a bunch of people spending time together. At some point, the group grows too big for one person to relationally connect to everyone and delegation becomes necessary. If authority is the challenge presented to “small groups” in the previous stage, inclusion is the challenge presented to these “large groups”. With the authority spread between several key leaders, competition may arise among them as to who is chief authority in their own small group of leaders. The effects of these ambitious attitudes have ripple effects down through the ranks of people so that when one person is elevated in leadership, their own particular group of followers inherits a promotion of their own via their relationship to that leader and are then able to see themselves above the rest of the group. Maybe this sounds silly, but the vast majority of our claim to authority comes from our own relationship to a greater authority (or at least the perception thereof). Because of this, it is almost a universal law that conflicts of one generation are usually amplified in the generations that follow. Much of the content in the letters of 1 and 2 Corinthians deals with this particular issue of followers vying for authority over each other on the basis of their leaders. This is why Paul continually brought them back together as equals together as they all follow Christ. This is the level where that kind of inclusive invitation to follow an exclusive person (Jesus) is essential to maintaining consistent discipleship. Once you move beyond the level of a single faith community and local leaders therein, the need for inclusive invitation and exclusive, articulated call, seems to increase exponentially. When facing a plurality of leaders, each leading distinct communities of faith, the Apostles were challenged to summarize the beliefs and standards of the Church into short, succinct statements (Acts 15) and again in the time of the Early Church Fathers as the Church spread into an even greater number of cultures with the Apostle’s Creed and the Nicene Creed. It is probably at this point that critics will question why we need to come up with statements of faith or other man-made tools to aid and guide our leadership and means of making disciples. Why can’t we just use scripture? Why isn’t the teaching of Jesus enough as it is given to us? While these are legitimate questions, they are often dishonestly and manipulative when asked at this level. The exact issue is every bit as prevalent when a Sunday school teacher takes one perspective of a teaching of Jesus (the call to sell all your possessions as commanded to the Rich Young Ruler, for example) while a pastor preaches a different interpretation of that same passage or teaching. In the local faith community, we allow for a greater level of diversity, because we share identity and relationships with everyone there. Once you involve interpretations of those we have not met and with whom we have no personal relationships, we become more suspicious and less accepting of interpretations that are different from our own. Therefore, maintaining unity in a large, multi-community body of faith requires the most articulation and summarization of the teachings that need to be passed on to the believers within it. The bigger the group of people, the less you can pass on to them. This is an picture of the growth of faith communities, regardless of time and place. You can see that as these communities progress, the question of how to make disciples quickly becomes influenced by the answer to who has authority and who is making disciples. You might expect that to be the same person, but that is not necessarily the case. Now let’s look at 3 different models of discipleship within a local faith community based on how they answer the Level 2 question of authority. 1. The first model is a democratic authority. All members of the church, whose membership is based on majority vote, are allowed to vote on all issues. The few “leaders” of the church, who carry any authority at all, have that ability to lead contingent upon the passive assent of the body of believers. This is a limited authority that can easily be taken away as soon as they lose the favor of 50% of the body, and probably less than that because she is constantly in competition with every other person both within and outside the community, because new persons with a greater sway can be invited in at any point to replace them. Leaders at this level can effectively lead and teach in two main capacities here: Generalization and Criticism. They can teach proactively using generalizations that have a broad level of appeal and a low risk of offense (unless offense is valued by that particular body of believers). They can teach reactively, cricizing the teaching and leadership of other leaders who may or may not be competitors because that justifies their own authority. These kind of communities of faith typically fall into the Level 2 or 3 size (see above), but some groups have successfully grew into a multi-site multi-cultural Level 4 body of believers. They tend to be (as always) incredibly summarized, articulate, in their teaching and often slow to change due to a need for compromise between cultures. They typically find a sweet spot regarding acceptable teaching passed down from that level and have little room to move away from the same messages repeated over the generations. 2. The second model is that of appointed authority. Appointed authorities are smaller communities that are created by a larger body. For example, it may be a denomination or association of churches starting a new church and appointing a pastor. Or it may be a church that appoints a Sunday school teacher or small group leader. These leaders have authority based upon the selections made by those of higher authorities. While there is significantly less pressure from the people within their group, the competition and pressure comes from the authorities who appointed them. On one hand, that means less people to keep happy with your work. On the other hand, it means very specific goals set to be accomplished and/or a focus on the bigger picture rather than the smaller details. It all depends on the person(s) in charge. These leaders can lead and teach by Specialization and Criticism. They teach proactively using specialized teachings that correspond with the teachings of the organization. They use criticism directed at competing organizations at the next higher level. They typically are discouraged from criticism directed toward sister communities within the same association, but sometimes competition is encouraged. As opposed to the democratic community, distinction is important in the life of these communities. Change can occur quickly in sub-communities as long as the proper authorities lend their support. The clash of cultures though typically occur within small groups of leaders who are typically not representative of the entire group, which leads to stronger criticisms of specific individuals and more stable decisions. Decisions made are not at risk of a re-vote at the next church gathering. 3. The third model is assumed authority. Like the democratic community, these almost always start as a level 2 or 3 group. This is where a charismatic leader gains authority over a group without vote and without appointment by a higher community with which they are connected. Sometimes, these communities are sometimes started from scratch by the leader. Oftentimes, in areas that have many faith communities already, they are started by a frustrated splinter group that splits off of a larger community. The assumed authority is in many ways the antithesis of appointed authority and democratic community. Her authority is not based on the favor of higher authorities but because she points out her difference from them. The lower their reputation is among them (to a point) the greater her authority within the splinter community. Likewise, the community often achieves a mindset that if no one else from the greater group agrees with them, that is indication that they are moving in the right direction. 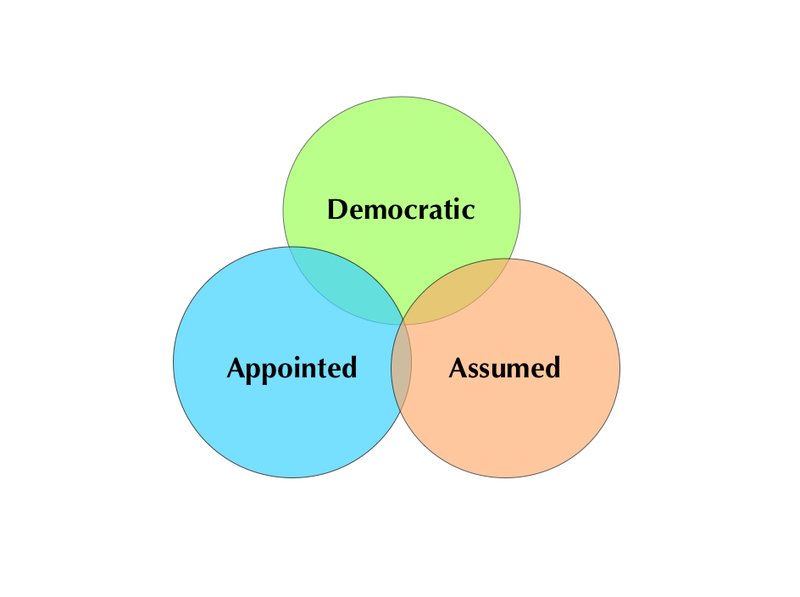 Assumed authority sits awkwardly between democratic and appointed authority. It is arguable that Jesus was an assumed authority, although it also arguable He was an appointed authority – appointed by God. 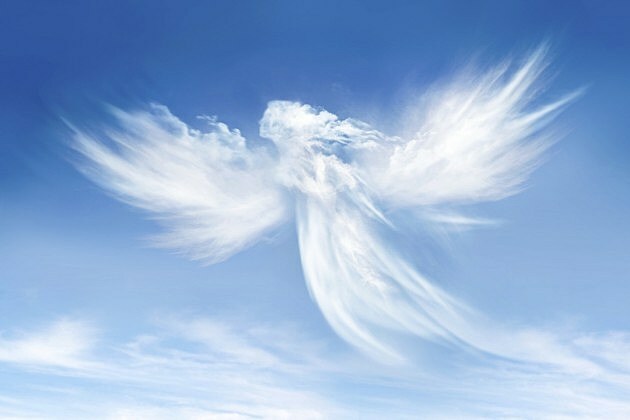 However, many assumed authorities claim that same appointment directly from God, whether it is true or not. This gives them the freedom to preach and teach whatever they want, so long as their people will continue listening to them. They truly have the most freedom in proactive teaching, and their reactive criticism is not against one particular group or another, but literally ever other authority. They are in competition with everything else, because anyone else can come and usurp them as a new assumed authority. For this reason, most communities that begin as assumed authority led groups shift into democratic or appointed authority groups within the first generation. Assumed authority is rarely stable enough to last long, particularly because most of them are birthed through intentional instability. All three of these examples represent extreme ideals. Most communities find themselves more in one category than another, but probably share traits with at least one other example as well. In addition, membership in most churches in the US has very low standards, particularly to maintain. Some churches have specific requirements they require of those wishing to become members. I have not personally come across a church that had continual requirements of members in order to stay members of that church. This attitude of low commitment has a direct affect on what kind of authority your church has, and thereby what kind of discipleship process your church can use. Generally, the responsibility for making disciples follows authority. In some cases, that is the kind of job expectation required of those leaders in return for that authority. In most cases however, discipleship is the reason that people follow their leaders loyally. Students and apprentices follow their teachers as long as they are engaged, growing, and appreciating what they are learning (or at least have a goal in mind that this teaching is helping them achieve). The question is not why leaders make disciples, but more commonly, how do leaders lead with any authority without making disciples among their people? It does happen from time to time, but these leaders require a major influence factor such as celebrity status or some other status role to remain in leadership. These are leaders because of who they are rather than (and sometimes despite) what they do. The same concept of leaders receiving and maintaining authority based upon their own work of making disciples affects all levels of leadership, not just the top. Even among leaders of subcommunities and ministry teams, those who maintain leadership authority over time are either those who make disciples among their own group of people or those who keep their positions because of some kind of status they have themselves. A possible crossover between social status and works exists in those who have and give large amounts of resources (money, time, materials, etc.) to the community. This generosity can be a part of making disciples, but it does not replace making disciples either in maintaining leadership or, more importantly, doing the work for which Jesus created the church in the first place. Let’s go back to the Princeton example. This is a community where people are paying to be discipled in ways beyond what they would typically find in a local church. So, in the context of community growth and authority type – before we get into questions of whether this model is, or is not more faithful to the model of Jesus or simply a better model than what we are doing now, we have to ask the question: Is it even possible for us to do this in our own context? In a smaller context, the answer is probably: yes. We can probably find small groups of people to start Level 2 communities and do discipleship by gardening. There are probably some geographic and cultural areas where you can start a small community and do this kind of ministry. It would be considerably harder in places without access to good soil, or suitable climates for growing things. Some places just have more practical access to this kind of ministry. It is also questionable whether the authority of a community can lead their people in new forms of discipleship – particularly when they are outside their own cultural context. Even if it is possible, is it right to be asking people to step outside their own cultural context in order to follow Jesus? Now that is a question for the Church today! In our day when worship services still remain some of the most segregated organizations racially, economically, linguistically, and politically. Can we really expect to take city folk out to the farm to teach some of those agricultural parables when we struggle getting blue collar and white collar people to work together in our present congregations? Isn’t it more logical, more natural to recognize that Jesus taught in a variety of contexts and that the Early Church developed in a variety of contexts even beyond that, and to focus on ways of making disciples that fit our own contexts? Yes. Yes we can do it. Yes it would be easier not to. Yes, Jesus did teach in a variety of ways, both in rural and urban contexts, both inside and outside the Temple and synagogues… and He took His disciples with Him to all those places. He took Peter the fisherman and taught on the lake, in the fields, in the Temple of Jerusalem, and in the pagan cemeteries where they encountered the possessed man. The Twelve received a well-rounded discipleship experience, and I believe that helped them to learn to adapt later on as the Church moved out of Judea, through the Roman Empire. What does it take to move us outside our own present models of discipleship, to find new ways to grow in our faith and faithfulness? It takes a recognition of what we are doing already, an evaluation of it’s strengths and weaknesses, a mission that will lead us to a greater vision of who Christ is creating us to be and a commitment to reseeding our core values in new contexts. Here is another resource on types of discipleship.